The Housing Authority of St. Louis County’s (HASLC) federally funded Public Housing Program owns and manages units located throughout various areas of St. Louis County and in the municipalities of Hillsdale, Pagedale, and Olivette. 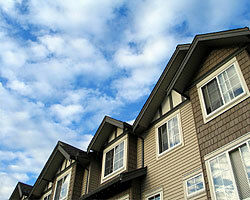 HASLC’s housing inventory consists of single family homes as well as apartments. The program serves families, seniors and persons with disabilities.